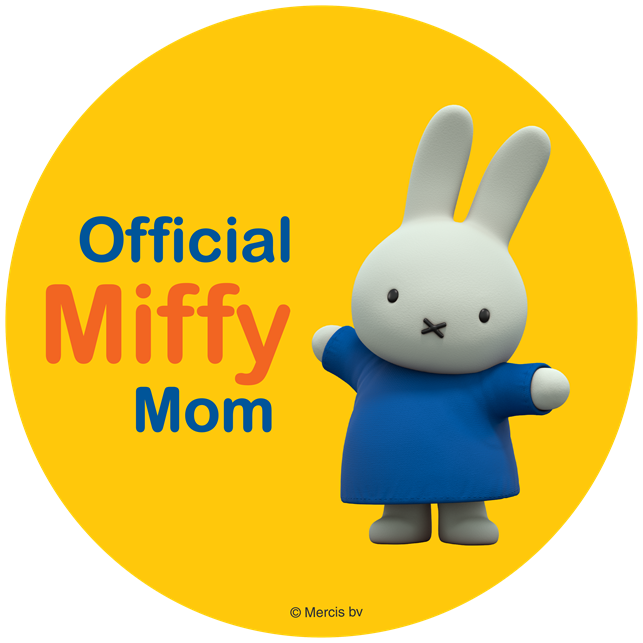 ThemeParkMama: Oriental Trading more than just Birthdays! Christmas is already less than 30 days away! So what plans do you have? Maybe throw a party, have a sleepover, spend time with family and friends? No matter what you may have planned Oriental Trading is a one stop shop! 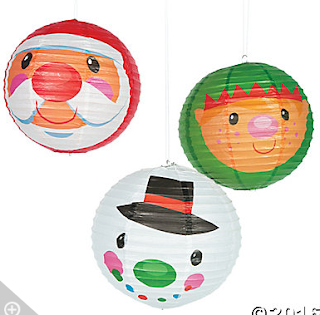 Give your party supplies a real boost by adding these beautiful and colorful Christmas paper lanterns to your collection. Your guests will be delighted when they walk into the room and see these fabulous paper lanterns on display, and you'll love them so much you'll want to keep them up year round! 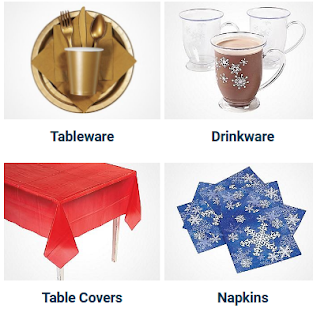 Use these great party supplies indoors or outside for the most fabulous Christmas bash you've ever had. You'll really put everyone into the Christmas spirit with these charming paper lanterns. 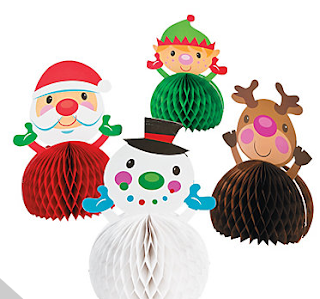 Made of paper and available in a festive array of colors. 37" circ. (3 pcs./unit) © OTC These are so much fun and so simple to put up! I have used some form of paper lanterns at all my parties now! And the list goes on and on! So many choices of fun decor to inspire and to bring out the best in your holiday wish list. My kids enjoy doing crafts which with Christmas around the corner what better time to do crafts than before the holiday. 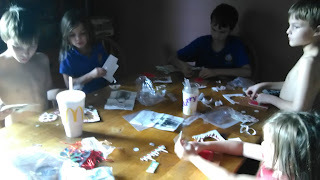 Oriental Trading has a huge HUGE selection of fun easy to do crafts, some are super easy and have little to no mess and others a little harder but keep the kids entertained. The biggest thing I love when picking out crafts is they almost always come in packs of 5-12 which is great since I have 5 already. We like to invite their cousin over and neighbors and friends to do crafts. 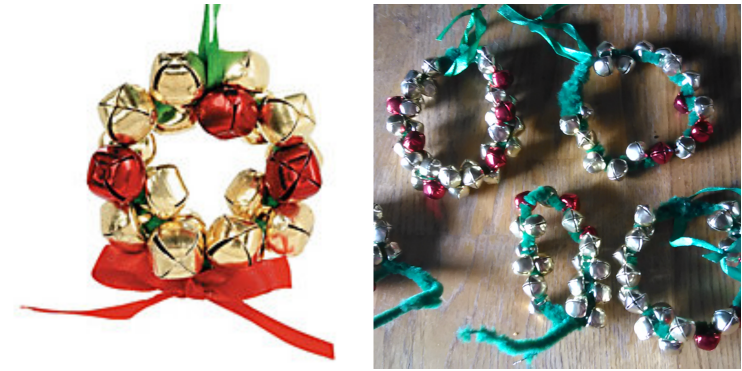 Metal Jingle Bell Wreath Christmas Ornament Craft Kit. 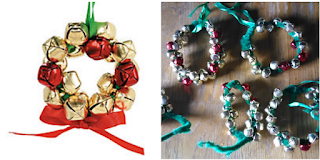 Jingle all the way with this wreath ornament craft kit! With shimmering gold and red bells, these unique ornaments will add some holiday cheer to Christmas trees, wreaths and gift packages. Kids will love making homemade presents for their friends and family with this merry project! 2 1/2" All craft kit pieces are pre-packaged for individual use. Kits include instructions and extra pieces. © OTC These ones the kids needed a little help with but still they turned out great! What does your team of magical reindeer look like? Magic Color Scratch Reindeer Christmas Ornaments feature silhouettes of reindeer in three different positions. Just scratch them to add rainbow-colored detail and hang them on your Christmas tree. 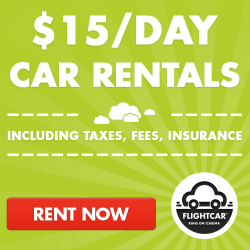 Personalize one for each member of your family. Includes 24 ornaments, 12 scratching tools and 24 nylon cords. Paper. 5 1/2" - 5 3/4" © OTC LOVE these they were so easy, all I did was give the kids a plastic stick and they went to work! Gingerbread door knob hangers are fantastic kids crafts. They make great Christmas stocking stuffers and if you're short of Christmas craft ideas, then craft kits can help. The self-adhesive foam pieces even make fun crafts for adults and the finished door knob hangers measure 6" x 10" so they make good Christmas decorations for around your home too. Makes 12. © OTC How cute did these turn out! My kids wanna gift them to family LOL which some they have placed on their doors. I could go on and on and on about all the items I got for my kids to do during the Winter Break but we might be here for awhile. I seriously cannot get enough of Oriental Trading, I was so LAZY and always figured the prices were "too high" never actually taking the time to look at any of it. Then I saw my neighbor always getting boxes from Oriental Trading.....can't miss it says it on the box with a bright pink flamingo, and that was how I got hitched.